In the nearer-than-you’d-think future, a luxury holiday away will become an individually crafted experience for every guest, thanks to the tourism industries interest in AI and virtual reality. Upon entering a hotel, guests will find their tastes recognized and tended too almost instantly. Fancy a drink? AI will have already deciphered it and suggested you a premium selection of cocktails. Have specific tastes for a room? Not to worry, a hotels' artificial intelligence will trawl through your data to meet your specifications. With adjustable rooms for each guest and algorithms that calculate your own choices of comfort, the tourism industry is quickly changing. An embrace of technology in the last decade has sparked a new confidence that could very well soon change the very definition of luxury. Virtual reality headsets will be used in place of brochures; receptionists replaced with the state-of-the-art facial recognition that will allow almost instantaneous check-ins. Once checked in, a client’s room will adapt itself to the requirements made during a reservation, adjusting everything from temperature and lighting to the choices of entertainment available on the television or art hanging in the digital frames dependant on your choice of artist. 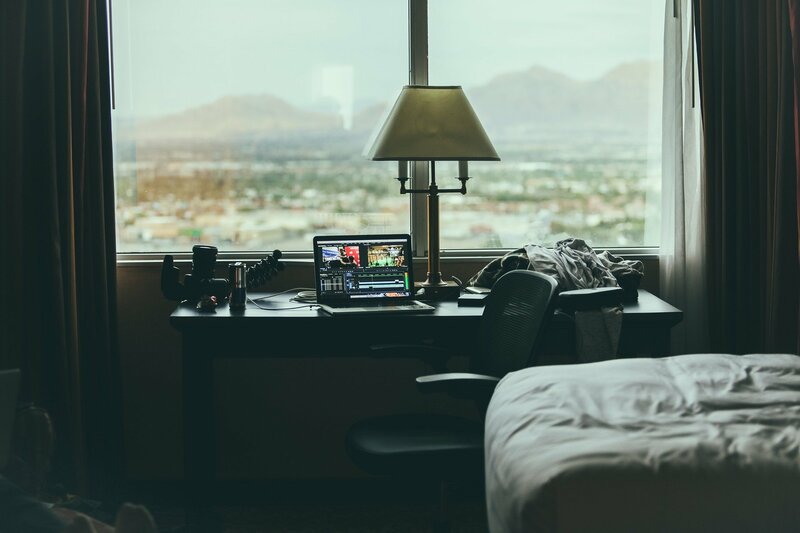 This is all according to the latest news that has come out from the tourism industry from Madrid’s Fitur tourism fair, sporting a hotel room of the future that was on display for onlookers to experience. News has quickly spread of what French technology consultants Altran are aiming at luxury hotels. Their goal is to make hotel rooms intelligent, with locks that are controlled via your phone and speech-recognition hat can decode your requests through an advanced understanding of over 40 languages. Good to know, then, that no matter where you are in the world, you’ll be able to order a pizza. By making the room intelligent with AI, hotels see the potential for customizable holidays. If a rooms’ beacons detect through your smartphone that you spend a lot of time in your, there will be an array of options made available to you. Sensors will detect how well you sleep in your bed and prepare you a certain beverage for when you awake. Equipped with vast amounts of data on customers and their preferences, artificial intelligence will use its complex algorithms to determine your every whim. The tourism industry is seeing dollar signs as it can use these algorithms to detect your wants, tailor your experiences, all with the intent of selling products and creating substantial profit from a holidaymaker. Currently, this is all promise and no payoff. In its early days, companies like Altran are trying to pioneer the very way we experience places. But this is at the cost of saturating a holiday experience and is criticized by many as a misuse of our personal data for the benefit of hotels and corporations in the endless debate on the property uses of artificial intelligence. It is also highly dependent on the prices and scalability to conduct operations such as this. The technology is viewed as very expensive and not worth the profit. A virtual reality headset is still immensely more expensive than a simple brochure. A receptionist doesn’t require constant maintenance to continue efficient work as an artificial intelligence system would. Professionals are likely to stick with safer bets until there are cheaper alternatives, however, interest is certainly rife. Tourism companies have already started to adapt VR headsets for users to experience destinations and hotels. As technology continues to develop, every industry has begun to adapt. Artificial intelligence is converting them into efficient models from which human-error will become a trial of the past. Soon, the concepts of science-fiction may become our holiday retreats.